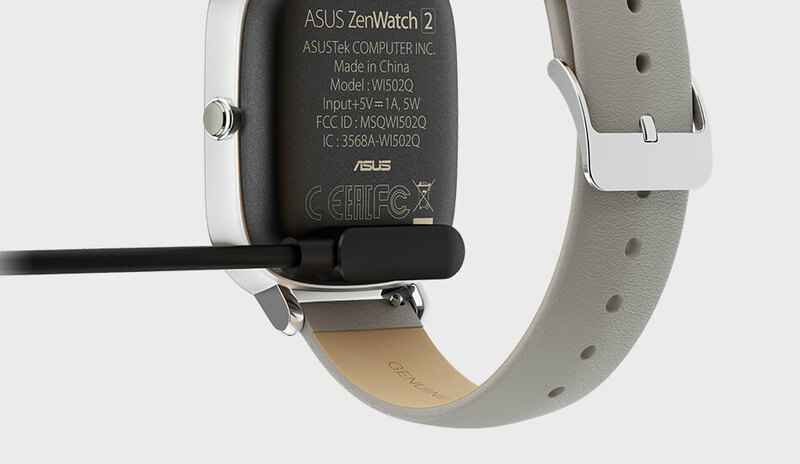 Asus WI502Q Zen Watch 2 Silver/Strap Bracelet Swarovaki Leather :: Bludiode.com - make Your world! A great watch experience starts with the perfect fit. 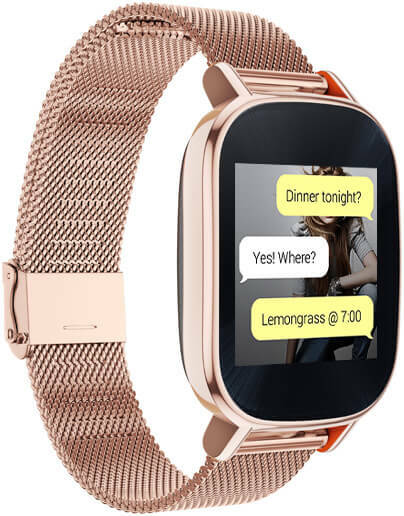 Available in two sizes, ASUS ZenWatch 2 brings sophisticated style and powerful functionality to any wrist. 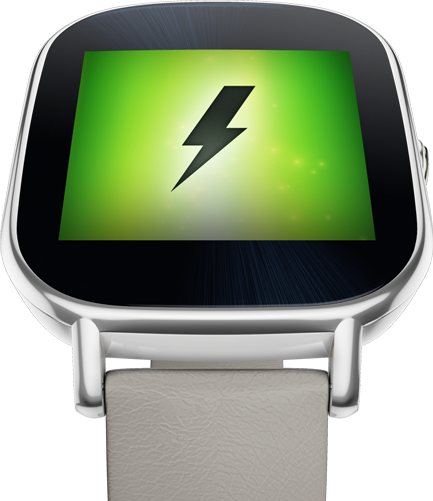 Echoes traditional watch styling and provides an intuitive way to interact with ASUS ZenWatch 2. Easily changeable straps in luxurious materials and fashionable colors. 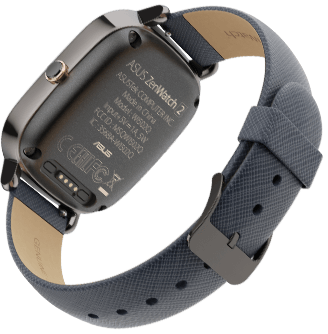 ASUS has partnered with Swarovski Professional to create an exclusive ZenWatch 2 strap crafted from fine leather and accented with Swarovski crystals. 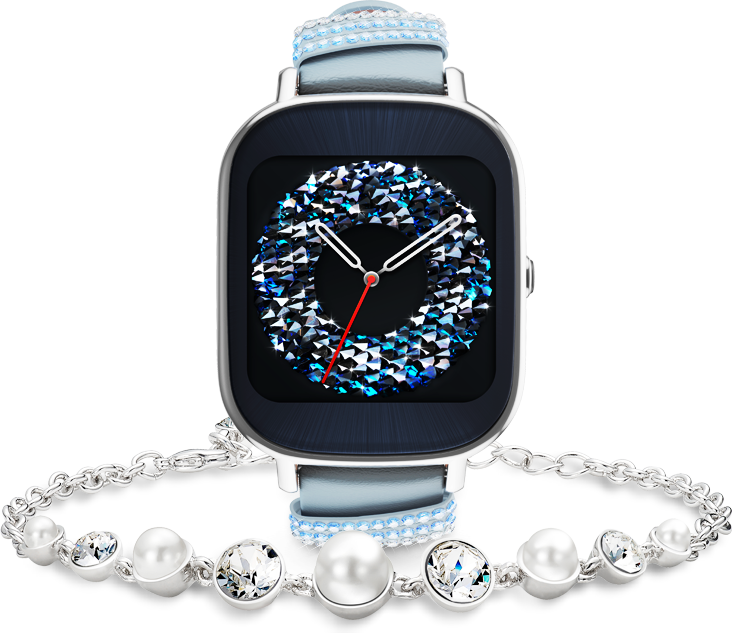 The strap comes bundled with an elegant Swarovski pearl and crystal bracelet that pairs perfectly with ZenWatch 2. 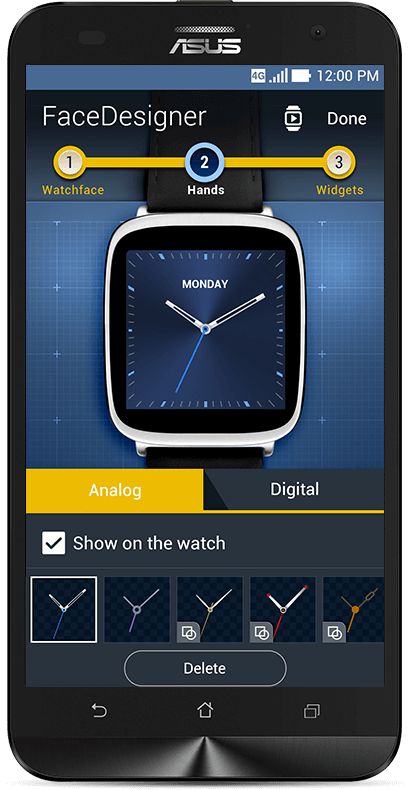 On top of 60 plus exclusive watcfaces, you can also create the perfect watchface with style and functionality that's tailored to you. 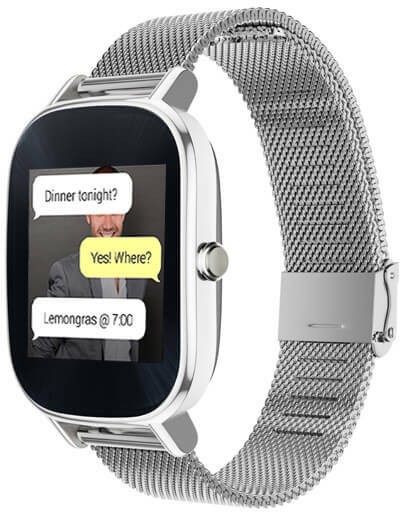 Convenient, fast, and fun watch-to-watch communication. Exchange short messages, emojis, and drawings with friends and family, right from your wrist. View timely information at a glance and get things done with a simple touch or voice command. Built-in pedometer with industry-leading step counting accuracy, activity tracker, and progress reports help you accomplish your fitness goals. Features magnetic connector snaps place automatically with ASUS-exclusive HyperCharge technology that provides industry-leading charge times – just 15 minutes to a 60% charge.